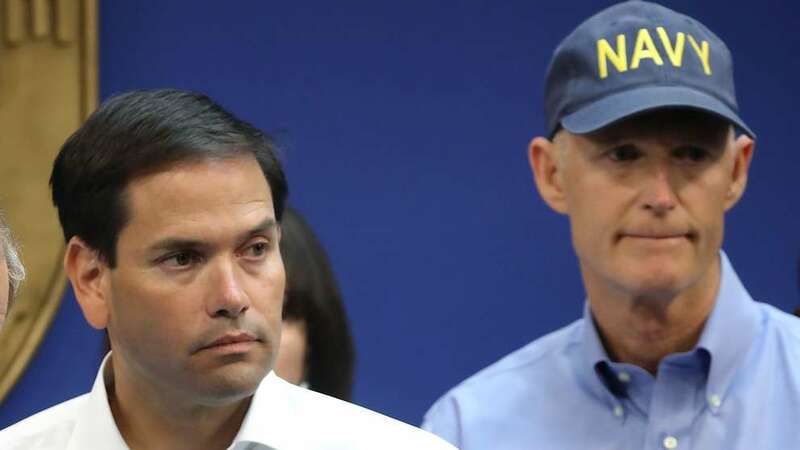 Marco Rubio and Rick Scott rejected the Green New Deal but now acknowledge climate change. What’s their plan? The public statements of these Florida Republicans offer few answers, despite the threats the state faces. In reality, the legislation stood no chance. Republicans had no intention of supporting the plan and put it up for a vote to force Democrats to weigh in on a contentious proposal, especially the senators running for president. It ultimately failed without a single affirmative vote — there were 57 “nays” and 43 senators who caucus with Democrats voted “present.” That Rubio and Scott stood against it was even less surprising. They signaled their staunch opposition well in advance of the vote. Scott as a candidate for governor in 2010 sided with those who thought it all a hoax and after he took office, he was accused by state employees of banning the term “climate change." Years later, Scott mimicked Rubio and told reporters, “I’m not a scientist” every time he was asked about the subject. Despite their newfound recognition for this threat, the Green New Deal was a bridge too far for Rubio and Scott. The resolution calls for the United States to reach net-zero green house gas emissions in the next 10 years — a goal that even environmental advocates acknowledge would require drastic action. 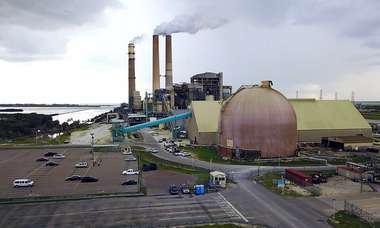 The plan is based on federal and international studies that say the world has about 12 years to significantly reduce carbon emissions to prevent the earth from warming to a level that could destabilize the planet. But the Green New Deal would also would establish universal higher-education, health care and housing, which Rubio described as “a grab bag of their radical agenda to transform America into the kind of socialist utopia that only exists in fiction." So if not the Green New Deal, then what would Rubio and Scott support to address the threats to Florida posed by climate change, like rising sea levels, warmer temperatures, more powerful storms and dying oceans? Neither senators’ office would say. Their recent public statements offer few clues. Scott’s op-ed for the Orlando Sentinel devoted 860 words to bashing the Green New Deal as an economic killer and zero to alternative solutions. “Republicans and Independents care about the environment,” Scott wrote. “We want clean air, we want clean water, and we feel obligated to be good stewards of this planet God has given us. But we do not worship the planet, we simply live on it." Rubio, meanwhile, has suggested that the effects of climate change cannot be reversed through U.S. policy. “Reality check: America is not a planet, and countries like China would happily watch us jump over the cliff by destroying our economy with the Green New Deal,” he wrote this week. Instead, Rubio said Congress should focus on hardening communities against rising sea levels. He specifically points to the South Atlantic Coastal Study, a U.S. Army Corps of Engineers report that will plan resiliency projects for the southeast. Such ideas are “not flashy,” Rubio contends, but represent more serious solutions. “If we’re going to address this in a meaningful way, it must be bipartisan, it must be enduring,” Murkowski said Tuesday in a Senate floor speech. Gaetz is readying a counter proposal to the Democratic plan called the Green Real Deal, according to a draft published by Politico. It would reduce the country’s carbon footprint by funding alternative energy, investing in technology to capture and store carbon emissions, and changing regulatory hurdles to bring clean energy online. The Tampa Bay Times asked Rubio and Scott if they would support any of Gaetz’s proposal. Neither responded.